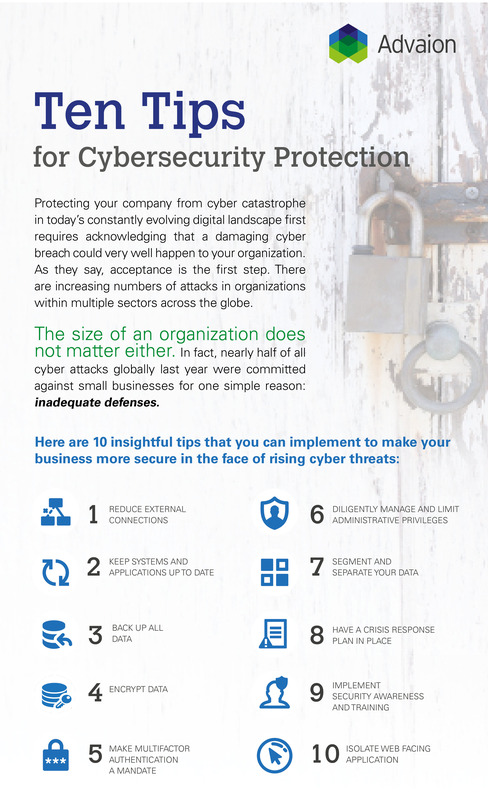 Protecting your company from cyber catastrophe in today’s constantly evolving digital landscape first requires acknowledging that a damaging cyber breach could very well happen to your organization. As they say, acceptance is the first step. There are increasing numbers of attacks in organizations within multiple sectors across the globe. Contact us today for a consultation on how Advaion can better assist you.